Want to celebrate a staff member, a valued client, or customer? Got a New Year’s bonus for your employees? This card is a top pick. Whatever’s worth celebrating! Unlike a bottle of champagne, this eftpos gift card can be used to purchase goods and services. Ok, all jokes aside, these cards can be spent wherever eftpos is accepted. Which, as you know, is almost everywhere! 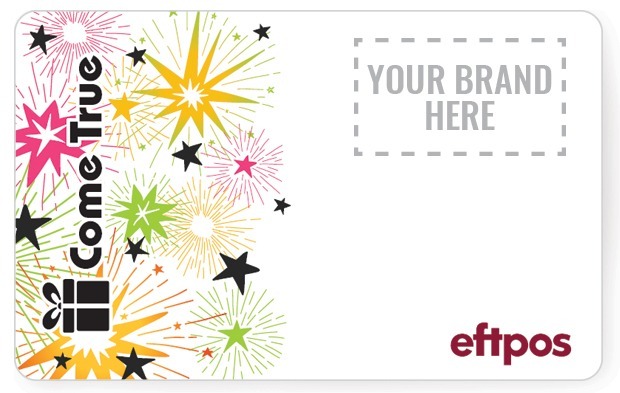 So, whoever it is you want to congratulate, thank, or incentivise, our co-branded eftpos gift cards are an exceptional gift. And we can, of course, organise the whole printing, delivery, design, and distribution process for you. That means you get to celebrate, too. It’s pretty much as “win-win” as it could be.